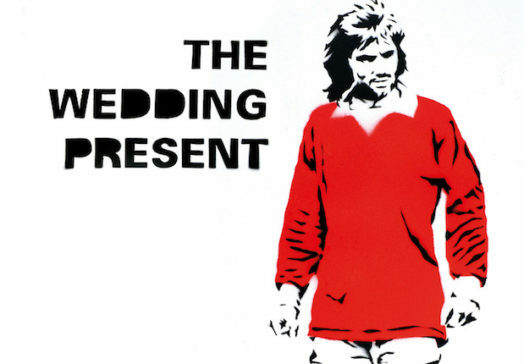 On 22 September 2017, Scopitones released George Best 30, a re-recorded version of The Wedding Present's debut album, on LP and CD. It was early 2008 and The Wedding Present were in Chicago, recording their seventh album, El Rey. But they had also recently completed a successful ‘twentieth anniversary’ concert tour for their debut LP George Best and, having played that entire album dozens of times live, it was fresh in their minds and under their fingers. So, after they’d wrapped up recording El Rey, David suggested they lay down a 'live' version of George Best in the same studio. After all, the equipment was already set up and the band were on fire. Steve Albini, with whom they were recording, initially wasn't too keen on the idea but David assured him it would be quick and easy. Albini grudgingly caved. But David was right; it was quick... recorded live, more like an early Beatles LP or a Wedding Present Peel Session than a long drawn out modern recording with a bunch of overdubs and multi-tracked layering. One could almost imagine that this is the version of George Best that David would have liked to have recorded back in 1987. It is just so well done... as you’d expect, of course, with Albini at the controls. But you can also feel David’s 20 years older self guiding the new recording with experience and confidence. Everything is bigger… the drums on the original recording were played live, but were done on a ‘Simmons’ electronic drum kit. The combination of Albini’s recording and the ultra-talented Graeme Ramsay on ‘real’ drums brings these frantic songs to life. However, the real difference comes out in the way those super-fast, ever-jangly guitars sound… they’re warmer, they’re rockier, they’re more modern. More… Albini! To round everything off with another contemporary twist, multi award-winning mixer/producer Andrew Scheps [last heard on The Wedding Present’s ground-breaking Going, Going... album] enthusiastically agreed to mix the finished recordings, having heard the original LP for the first time in his living room in Los Angeles in 2012, when he was mixing The Wedding Present’s eighth studio album, Valentina. George Best 30 was released on vinyl in North America by HHBTM Records and on CD in Japan by Vinyl Junkie.